The New Moon January 2014 astrology outlook is for exciting change, with the main aspect to the new moon being an expressive sextile to Uranus. 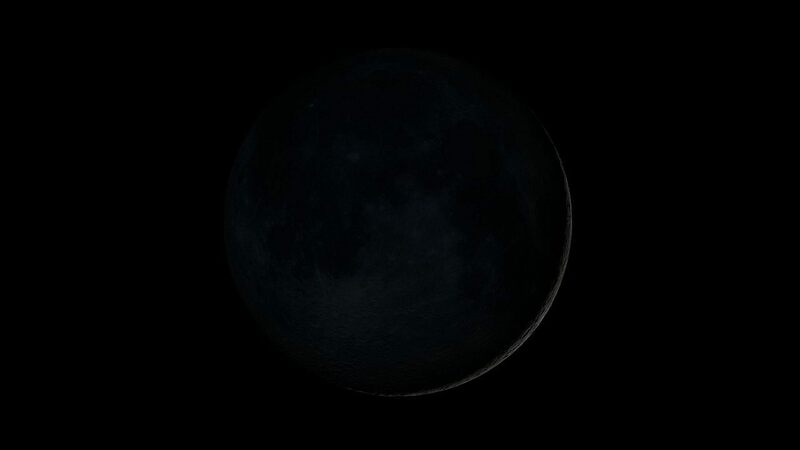 This is the second new moon this month, occurring on Thursday the 30th of January 2014. The previous new moon on January the 1st was a lot nastier than this refreshing new moon. A new moon represents a new start, beaming down a burst of fresh energy for us to start off in a new direction. Sun sextile Uranus increases this initiative and adds inventiveness, inspiration and a sense of urgency. Change will happen quickly, guided by flashes of insight. Even before this new moon kicks in, we may anticipate that change is on the way. Uranus is like that, and the sextile aspect opens up this portal to the future even wider. This January 2014 new moon signals not only the start of an exciting phase of change, but it also represents a definite turning point for a number of reasons. Firstly, this new moon is the half-way mark in the current eclipse cycle. The previous solar eclipse in November 2013 was 90 degrees (3 months) before in the zodiac, at 11 degrees Scorpio. We are in need of a change in direction, to break out of the rut caused by that previous solar eclipse conjunct limiting Saturn. The next solar eclipse is 90 degrees ahead in the zodiac, at 9 degrees Taurus in late April 2014. Another reason this new moon represents a major turning point is Venus. She has been travelling retrograde for the last six weeks and turns direct only 24 hours after this new moon. It has been a torrid Venus retrograde cycle, a difficult time for most love relationships, with anger, separations, sadness and delays. A new direction from this new moon will certainly break the deadlock in any stalled proceeding in the relationship department. You will notice in the new moon January 2014 astrology chart that stationary Venus is conjunct Pluto. This does place an intense focus on love relationships, and also our finances. This brings us to the final reason this new moon marks a major turning point. Jupiter opposite Pluto is a big deal in itself. It is exact only 12 hours after this new moon. This aspect drives us relentlessly, to an extreme level, to succeed, to improve, to find the truth. So the result of this new moon will be progressive Uranus change to break the limiting Saturn conditions of the current eclipse cycle, and the limiting conditions of the Venus retrograde cycle. The changes occur in the areas of Venus love and money, where Pluto transformation is desperately needed to reach that Jupiter happy place we all desire. Venus stationing direct on the fixed star Ascella has to be promising, its “good fortune and happiness” ramped up a notch or two by Pluto. This moon is sextile my true node in Aries at 9’36 in the 10th. Is that significant? I hope so , my North Node is on the same degree. After transiting Uranus on our North Node in the last year, this new moon may give us more direction. This New Moon is conjunct my natal Ceres (10º08′ Cap 5th house), would you say generally this is a positive sign if one was to have a family court hearing starting next week. I have to say I was excited when I realised it was right on my Ceres. Although I realise Pluto is right there too and Uranus is squaring over in Aries. Thanks for the great post! I won a custody case with transiting Pluto square my Sun. So Pluto on your Ceres might act in a similar way, toughen you up, more ruthless which you need to be in court. Sorry Jamie- I’m a total doofus and got a bit excited! Totally not conjunct my Ceres – I was still thinking capricorn mode and jumped the gun! lol… of course the moon is in Aquarius not Cap! It’s good to hear about Pluto and your custody case!… I’m Virgo decan 2 and have Pluto trine Sun now so hopefully that will help. I loved your Virgo forecast this month as my ascendant is Virgo decan 3 as well… it looks pretty promising on both accounts. Can I ask (simply because all my googling has come to naught) – would you say Uranus square natal Ceres is a disastrous aspect? Nothing has to be disastrous. It makes sense that you would have an aspect like this going through a custody battle. It’s upsetting and tense. So you wouldn’t expect to go through dramas like this with sweet trines everywhere. Hi Jamie its libra decan 3 this jup,pluto and uranus transit this january giving me a headache, some kind of legal and struggle with authority so how wud be in end for libra decan 3. april eclipse may give result? will it be disaster? I’m writing Libra February horoscope now. Thank you Jamie, inciteful as always! “When you have a full moon in your own sign, something is of great importance to you – so personal to you that even I, as your astrologer, can’t completely know what that might be, dear Leo. You do, I bet – and all will culminate over that weekend. Just be sure to be very realistic, because Neptune will oppose the moon. Sometimes we all make assumptions about things, especially in a relationship, but we can be off. Any words of wisdom or can you elaborate more? Thank you, Jamie. I have a question about one thing: does every new moon 3 months after a solar eclipse require a change in direction? Is it because of the 90 degrees difference between the signs or is this not a rule? I haven’t come across this as a rule anywhere in astrology. Perhaps it is true in general, but it makes sense specifically for this new moon given the aspects. This New moon sounds like the first positive news in years for Decan 1 Aries. onward and upward as Uranus moves to bestow misery on the next hapless decan….